The range is not the place to be very fashion conscious. While you can dress cute and there are more fashionable safety accessories on the market than ever before, dressing for safety is most important. In this video Tatiana Whitlock and Heather Eckert explain how to dress for success for a training class. 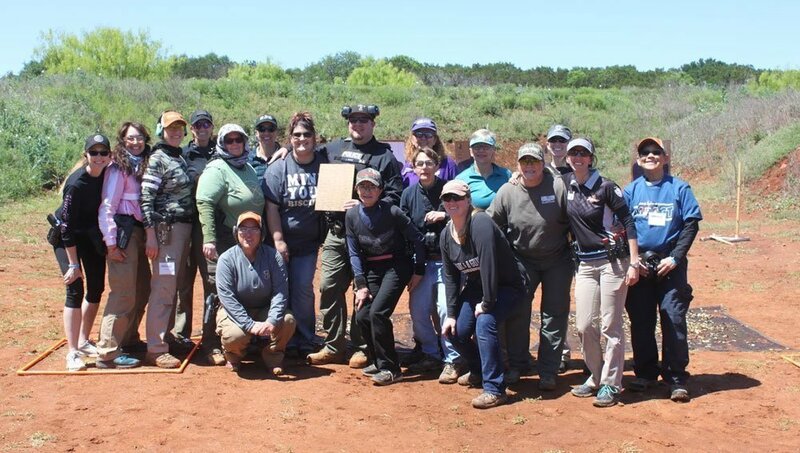 Starting from the ground up: Shoes at the range should be close-toed boots or sneakers. A good, sturdy pair of pants will protect you from the elements and hot brass. They also should have good belt loops to support your holster if you are going to use one at the range. Shirts should have a high collar to prevent hot brass from going down your shirt. Eye and ear protection are critical parts of your personal protective equipment (PPE). Finally, a ballcap will also help prevent brass casings from making contact with your face. When you are in your shooting stance, your arms are forward, your pects are engaged, and the “girls” are smushed together. This cIeavage is a perfect target for hot brass if you are wearing a low-neck shirt. You could not only experience intense burns on your skin, but your reaction could cause you violate one of the 4 Safety Rules. In warmer weather women want to wear tank tops and flip flops to be comfortable. Bring a full tshirt and athletic shoes to change into while shooting, and then you can change back afterwards. 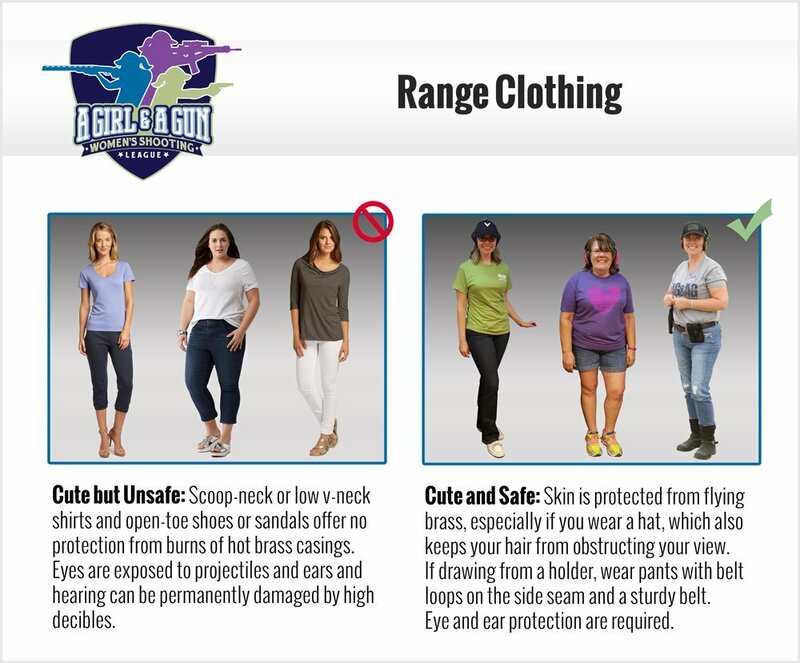 Wear the proper range clothing and always be aware of the 4 Rules.